To take full advantage of it, you'll need to mount your phone to your bathroom mirror every time you brush. Oral-B, those purveyors of tools to keep your teeth clean, have been making Bluetooth electric toothbrushes for a few years now. 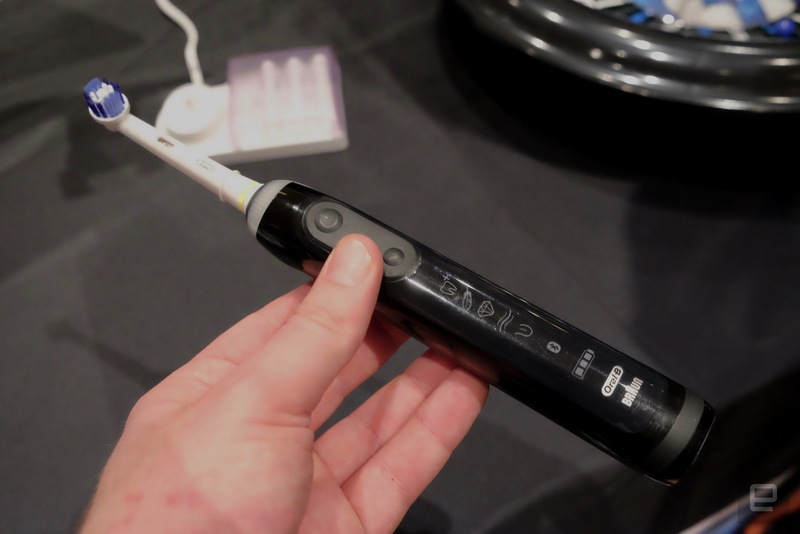 But its latest, the Oral-B Genius 8000, is the Cadillac of connected Bluetooth toothbrushes, if you're in to that sort of thing. What's interesting about the Genius is that it uses your smartphone's front-facing camera to analyze your brushing patterns and ensure that you're hitting every zone of your mouth sufficiently before you move on. The company has seen that when people brush, they often accidentally skip over or under-brush parts of their mouth, and this is meant to fix that. Unfortunately, this means that you have to mount your phone to your bathroom mirror to take advantage of this feature. And thus the dark side of connected devices rears its ugly head yet again. But even if you don't usually want to do that, the Genius 8000 also can alert you to when you're brushing with too much pressure. It also keeps track of how long you're brushing and will bug you to make sure you're spending enough time cleaning your pearly whites. Even without all this connected trickery, electric toothbrushes have a lot going for them -- so if you're the type to wear a Fitbit and catalog the rest of your health and activity, why not start tracking how you treat your teeth as well?